LMD StoragePack is a collection of 10 native VCL components that can be compiled into your application royalty free. StoragePack controls are used to save/restore application configuration data. Possible target formats are the Windows Registry and Ini-, XML- or binary files respectively. 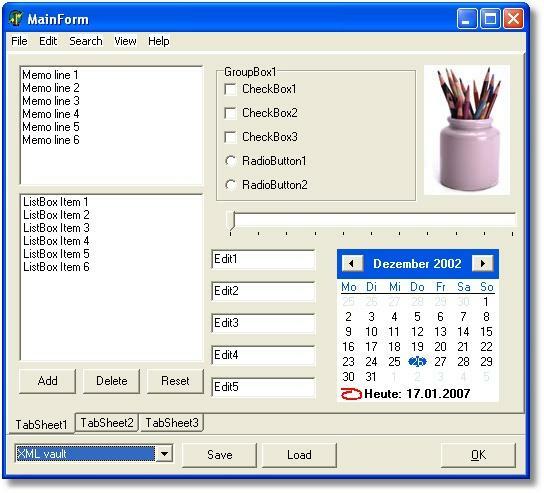 The package can save a lot of time which is normally used to write code which handles management of configuration data. 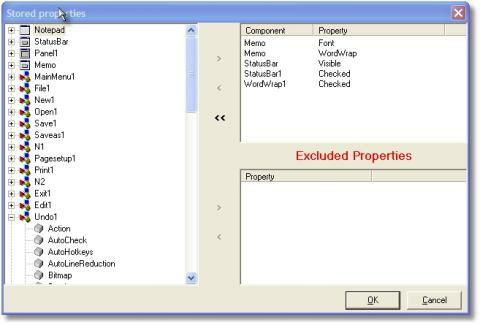 For example component properties can be selected at designtime visually via the Properties Selection Dialog - all other functionality is done automatically at runtime. Release 2.0 introduced integration into the LMD shared runtime packages and improved VCL.NET compatibility. Standalone version. Demo projects included. Please find documentation package at the end of this section.